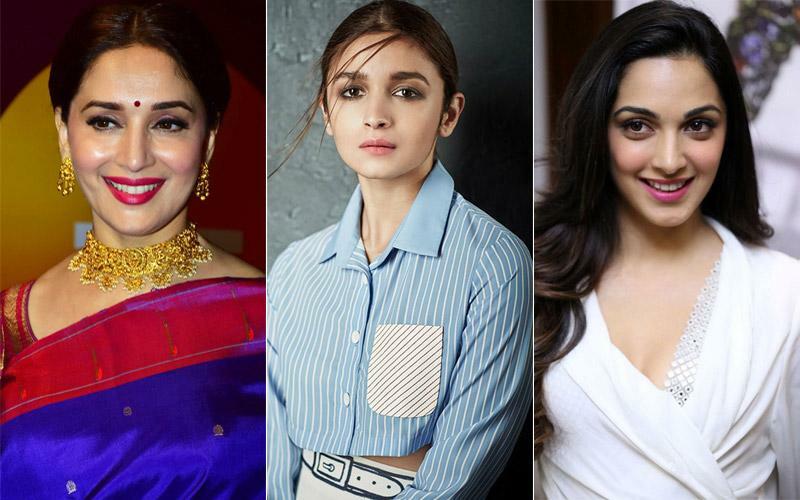 Madhuri Dixit plays a dance teacher to Alia and Kiara in Kalank? Madhuri Dixit was last seen on the big screen in the 2014 film Gulaab Gang, directed by Soumik Sen. The forthcoming Hindi film Kalank, starring an ensemble cast of Sanjay Dutt, Varun Dhawan, Aditya Roy Kapur, Madhuri Dixit, Alia Bhatt and Sonakshi Sinha, is being awaited with bated breath. The film has just gone to the sets, but the curiosity of the audience around the film is unprecedented. Everyone wants to know each and everything related to the multi-starrer film being directed by Abhishek Verman. As we all know that every detail about the period film is being kept under the wraps. But no matter how much filmmakers try, some or the other information does come out. The latest information that we have got has it that Madhuri Dixit is playing a dance teacher in the movie, who teaches dance to Alia Bhatt and Kiara Advani. Kalank, produced by Karan Johar and Sajid Nadiadwala, is scheduled to release on 19th April, 2019. Alia Bhatt on Kalank: I’m completely sucked into the cinematic world Abhishek Varman is creating!